The above headline appeared on the front page of the Tampa Sunday Tribune on August 12, 1956. The day before Elvis Presley had completed a 9-day, 7-city, 25-show barnstorming tour of Florida, from Miami in the south to Jacksonville in the north. It was the most intense and exhausting tour during Elvis’s breakout year. In his article, Tribune writer Paul Wilder tried to put the wild Presley tour of Florida into perspective. When Elvis arrived in Florida, he was coming off a month’s vacation from his hectic 1956 touring schedule. He spent most of July relaxing in Memphis and visiting girlfriend June Juanico in Biloxi, Mississippi. Following his July 1 appearance on the Steve Allen Show, Elvis was not due back on TV until the Sullivan show in the fall. 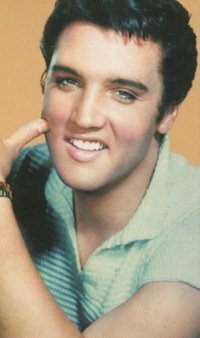 Things were relatively quiet for Presley on the record charts, as well. 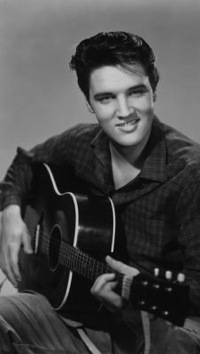 Having finished its run at #1, “Heartbreak Hotel” was slowly sliding down the “Top 100.” His second 1956 single, “I Want You, I Need You, I Love You,” had reached the top 10, but stalled at #3. But August ushered in another round of Presleymania. The new single, “Hound Dog” and “Don’t Be Cruel,” exploded onto theBillboard charts, and Elvis took his raucous road show into Florida. After 7 shows at Miami’s Olympia Theatre on August 3-4, Elvis headed northwest, zigzagging across the state like an out-of-control twister. Two shows at the Armory in Tampa on the 5th were followed by 3 shows at Lakeland’s Polk Theatre on the 6th and three more at the Florida Theatre in St. Petersburg on the 7th. The next day he played 2 shows at Orlando’s Municipal Auditorium. Then it was back again to the east coast for 2 shows at the Peabody Auditorium in Daytona Beach. The Florida tour ended in Jacksonville with 6 shows on August 10-11. Wilder detailed the trail of excitement and controversy that followed Presley’s path through the state that week. “No matter what radio station you turned to, you would hear Presley’s off-beat voice wailing some sloppy gush like Heartbreak Hotel or Don’t Be Cruel,” the writer noted. “No matter what newspaper you looked in you would find reports of near-riotous conditions prevailing when he was appearing in that town.” TV Guide had an interview scheduled with Elvis in Tampa, but things got so wild there that it had to be put off until the next day in Lakeland. Even then, Presley could only give the magazine a half hour of his time. And how much cash did Presley make in Florida that week? Wilder couldn’t get Colonel Parker to tell him the amount, so he calculated the ticket take on his own. Conservatively taking the lowest ticket price for Presley’s Florida shows ($1.50) and multiplying by the estimated number of admissions, Wilder came up with a Florida appearance tour gross conservatively at $100,000 for Elvis. “Ever hear of anyone else making $100,000 a week in Florida, in the entertainment or any other business,” Wilder asked his readers. Excitement and controversy flared up wherever Presley appeared in Florida. 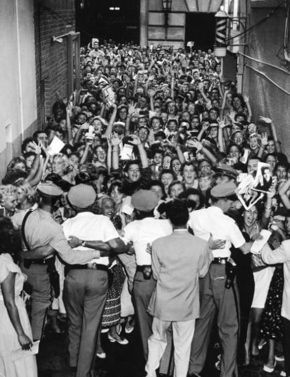 In Tampa, while security forces kept teenagers away from Elvis, he was mobbed backstage by reporters, photographers, DJs, and friends-of-friends as they fought to get a word from him or a photo taken. In Jacksonville, a juvenile court judge, who threatened Elvis with arrest if he didn’t tone down his act, attended Presley’s show to make sure his warning was heeded. 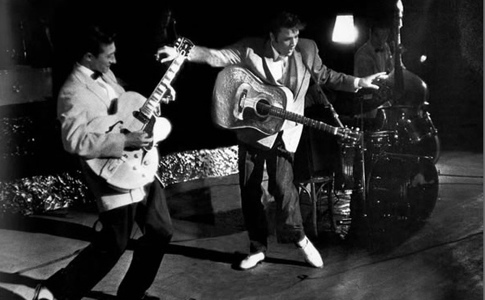 Elvis and Colonel Parker both denied that the stage show was changed in any way. According to Wilder, “Presley was willing to face arrest and decide once-and-for-all whether his performances were vulgar or obscene.” Elvis made it through his 6 Jacksonville shows without being arrested. Some Presley fans saw multiple shows, even following Elvis from town to town. St. Petersburg teenagers Anne Muncy and Nila Shea were first in line to see Elvis in Tampa, Lakeland, and Orlando. In their own town, however, they showed up at 4:30 a.m. for Presley’s 3 p.m. show, only to find two other girls had beaten them to the gate by 15 minutes. The frenzied pace of the Florida tour took a toll on Presley. Wilder saw it between shows. “Backstage, he is completely different. He appears exhausted, listless, colorless, washed out. Yet even as almost a caricature of a beat-up Dead-End Kid—the girls still scream at his sight, moon and worry over his condition.” A reporter in Lakeland thought Elvis was about to die. “I feel terrible,” he heard Presley moan, as he grabbed his forehead with both hands and swayed back and forth. One young woman asked Elvis if he were looking for an ideal girl. “Yes, and I found her,” responded Elvis. “Who?” returned the breathless girl. “You,” he answered. “She nearly dropped her microphone,” Wilder reported. 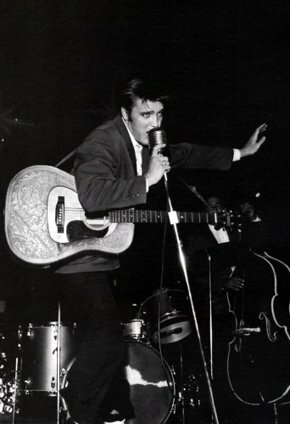 "While on-stage, Presley was the utmost in action. His dynamic, forceful movements, including jumping, running, bending, twisting, foot-jerking, leg-jerking, hip-jerking, head-jerking, arm-waving."